Yellow Pages RIP – Where Does the Small Business Go Now? 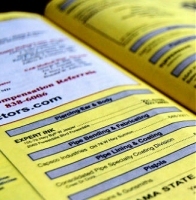 Home / Uncategorized / Yellow Pages RIP – Where Does the Small Business Go Now? If the Yellow Pages do not work for your business, get out of it now. Quit wasting money on it. If the Yellow Pages does work for your business phase out of it while replacing it with on line strategies. You may ask, “Why phase it out if it continues to work for your business?” Answer…you do not want to remain dependent on the business generated from Yellow Pages because there is a day coming soon when they are not going to print the book. The organic marketing methods of the web do not happen overnight. It takes to time to get an audience, construct effective paid online advertising strategies and develop an effective social media program. Don’t get caught, develop your on line strategy now!